We're using Primary Language Lessons for English this year. It's a very gentle approach to language and doesn't require worksheet after worksheet of repetition. We love it! 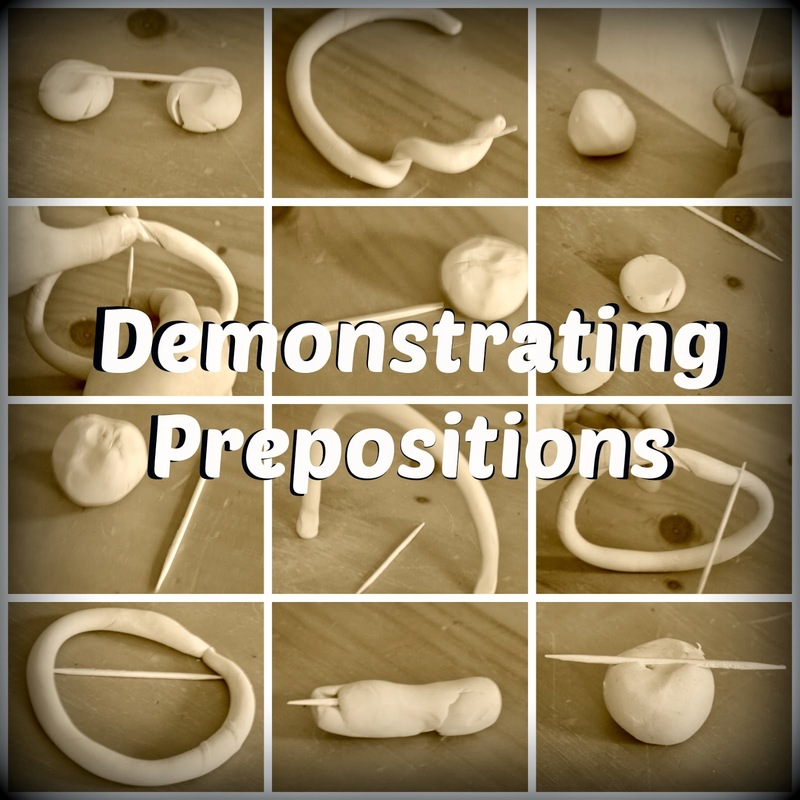 This week one of Miss M's lessons was about prepositions. It was a mainly verbal lesson (fill in the blank), so to make it more hands on -- and fun! -- I gave her a ball of modeling clay and a toothpick so she could demonstrate the prepositions to me. And I took pictures of them just for you! How do you make language arts more hands-on?